The authors highlight how a systematic review of studies that measured the levels of linoleic acid in adipose tissue in the USA, showed an increased from 9.1% in 1959 to 21.5% in 2008. In addition to diabetes and obesity, this increase was also associated with increased prevalence of CAD. 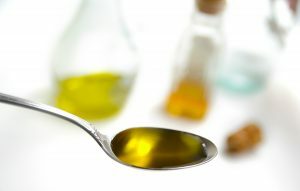 There is an extensive list of evidence that points to omega-6 vegetable oils as being a causative factor in atherosclerosis and CAD, including a meta-analysis of randomised controlled trials that found replacing saturated fat plus trans fat with omega-6 fats resulted in increases in all-cause mortality, ischaemic heart disease and cardiovascular disease mortality. The authors of the Open Heart paper conclude by stating how reducing dietary linoleic acid – mostly from industrial vegetable or seed oils – will reduce the risk of developing CAD and CHD. In the face of such mounting evidence, can we afford not to pay attention? DiNicholantonio JJ, O’Keefe JH. Omega-6 vegetable oils as a driver of coronary heart disease: the oxidised linoleic acid hypothesis. Open Heart 2018; 5: e000898. Bemelmans WJ, Broer J, Feskens EJ, et al., Effects of an increased intake of alpha-linoleic acid and group nutritional education on cardiovascular risk factors: The Mediterranean Alpha-Linoleic Enriched Groningen Dietary Intervention (MARGARIN) study. Am J Clin Nutr 2002; 75: 221-7. Christakis G, Rinzler SH, Archer M, et al. Effect of the anti-coronary club program on coronary artery disease. Risk-factor status. JAMA 1966; 198: 597-604.